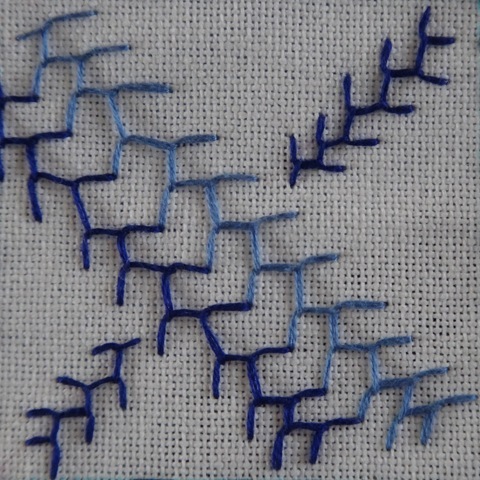 This weeks stitch for Take A Stitch Tuesday http://pintangle.com/tast-faq/ was French Knot…also known as French dot, knotted stitch, twisted knot stitch and wound stitch. All but the wound stitch seemed appropriate. 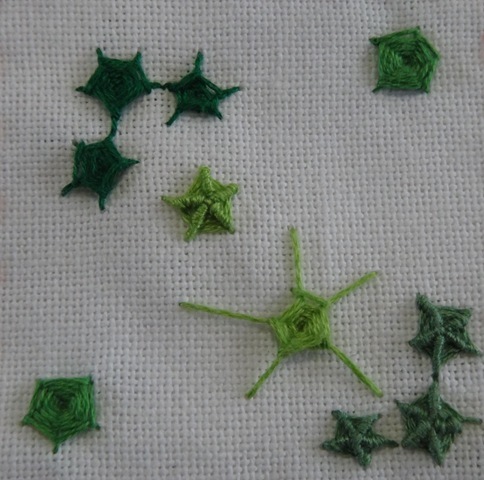 I had only used this stitch as the center of flowers on pillowcases so I tried it as an outline for some cactus shapes. 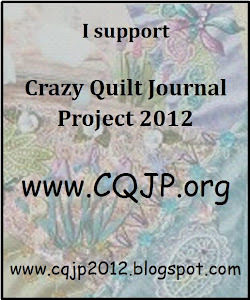 On the third quarter of my April Crazy Quilt Journal Project http://www.cqjp2012.blogspot.com/ I already had some rickrack. 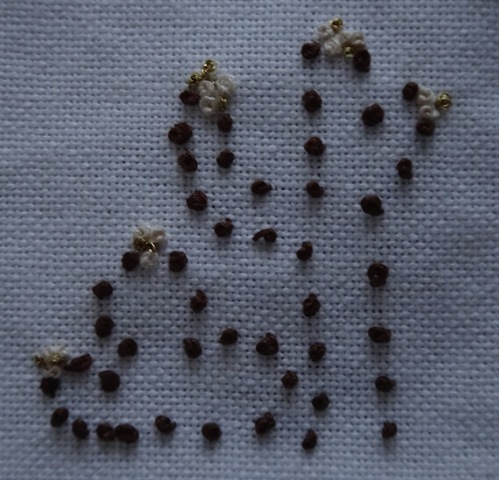 This quarter is very simple with only the addition of a little running stitch and French knot stitches. The Take A Stitch Tuesday stitch for week 11 was a stitch with a number of different names. Whipped spiders wheel, raised spider’s web wheel, ribbed wheel and back stitched spider’s web. After finishing my sample I realized I had worked mine upside down! So I added a few done the correct way. 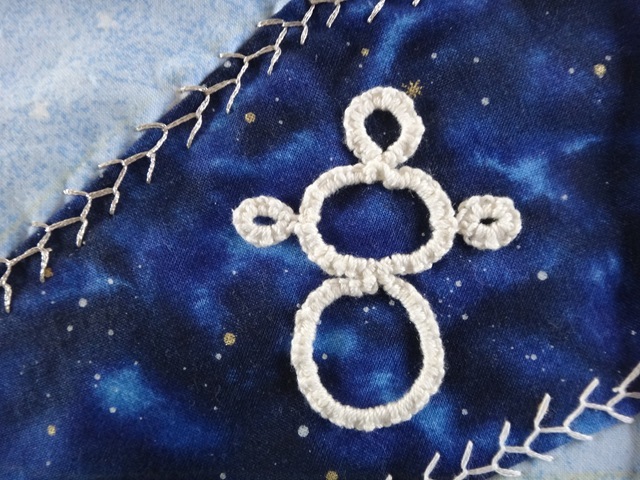 I liked doing this stitch both ways…. but I have to admit the right way was the better way. 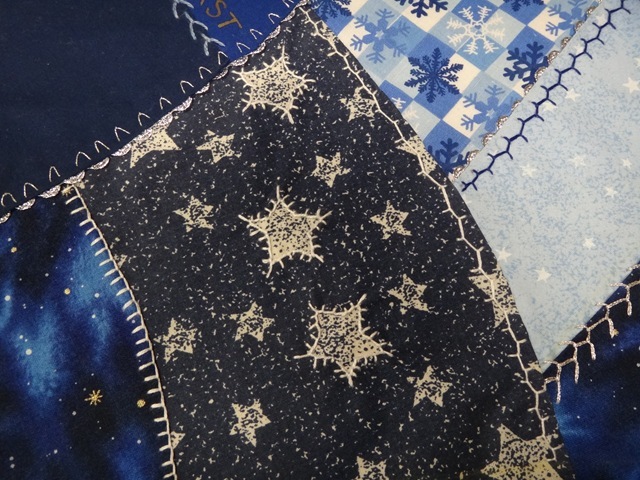 On the third quarter of my Crazy Quilt Journal Project I used the Back Stitched Spider’s Web…..as well as doing it upside down. I liked the part I did first to well to take it out. 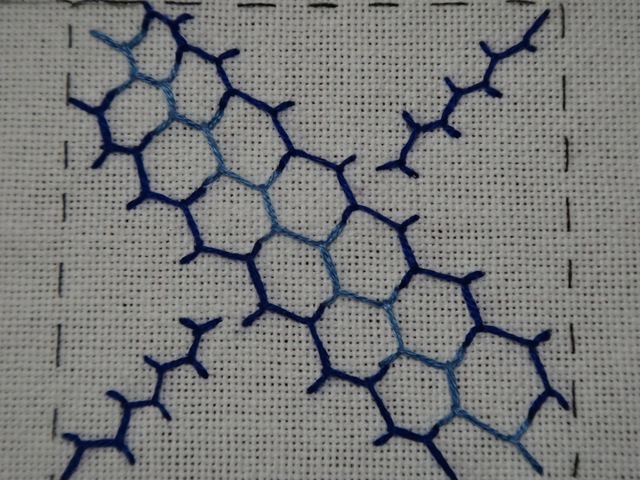 This is a new stitch for me and I really enjoyed doing it. I used it to make shamrocks. Than I tatted a couple of small shamrocks as well. 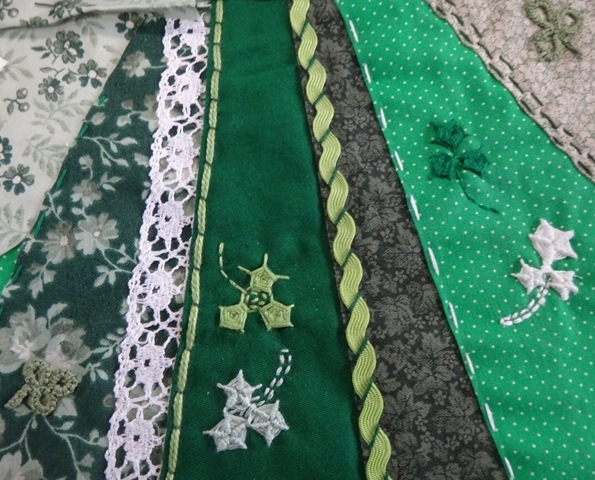 I also used the running stitch and couching stitch, as well as adding some rick rack and lace. 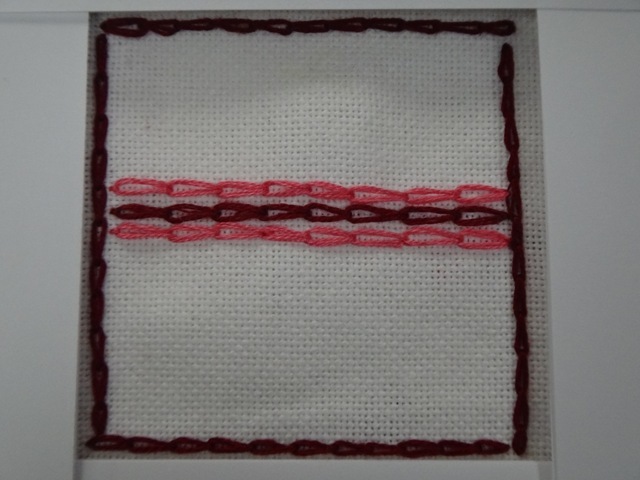 The stitch for week 4 was the Cretan stitch which is related to the Buttonhole stitch. It was used on the Island of Crete for centuries to decorate their clothing. 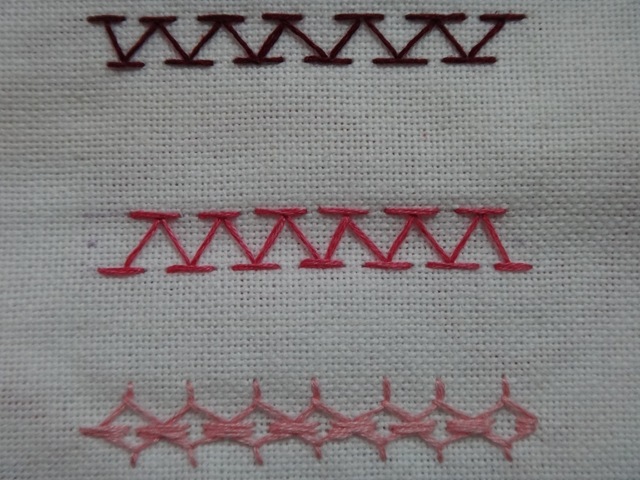 I still prefer the plain Buttonhole stitch. I liked the way the stitches put together made a chicken wire design. I do admire what others are doing with their stitches! 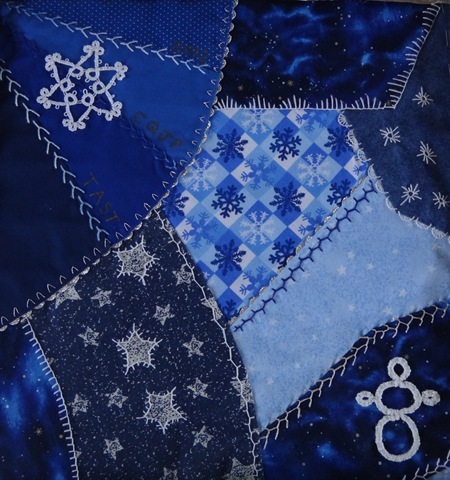 I used the Cretan Stitch on the 4th quarter of my January Crazy Quilt Project. 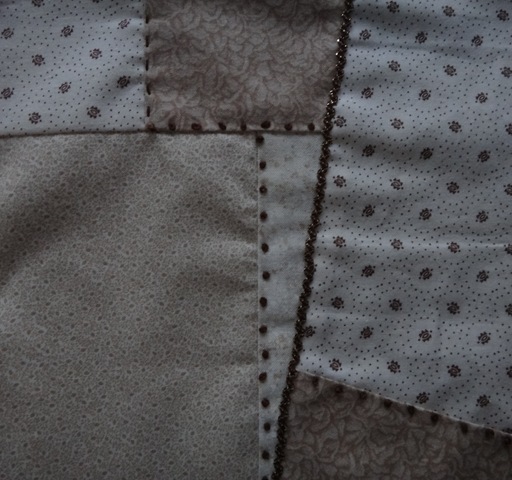 I added silver rickrack and some plain Buttonhole Stitch as well. 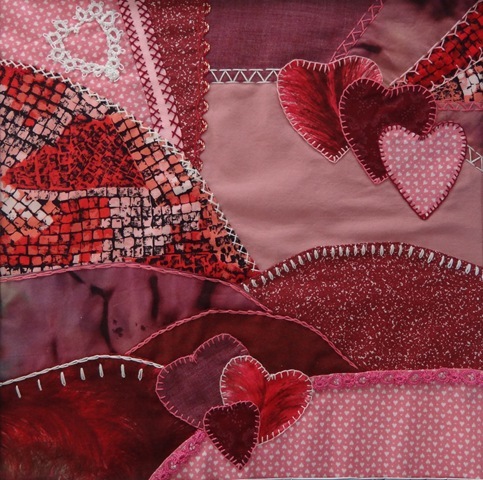 My JANUARY CRAZY QUILT square is finished! I am making one 12 inch square a month so I am off to a good start. The stitch for week 3 was the Feather stitch. 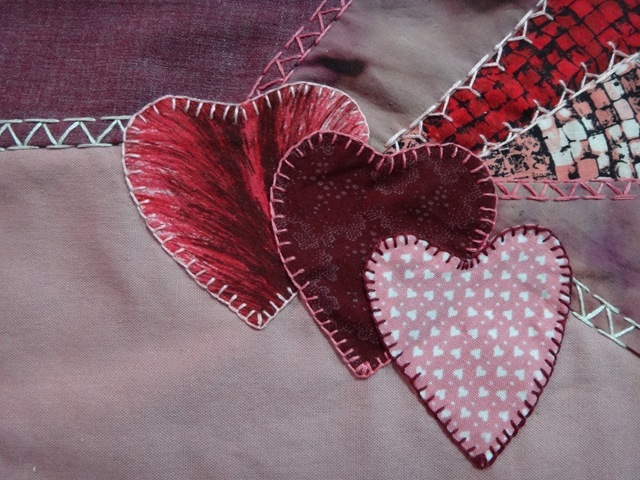 Not my favorite stitch, but I like the way putting them together made hearts. It is in the Buttonhole family. 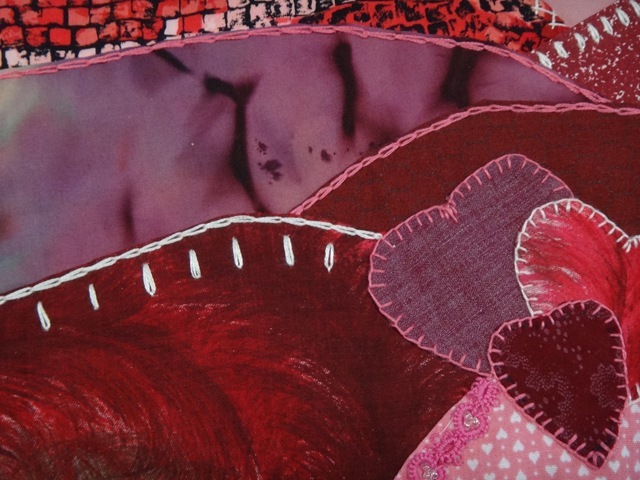 I used the Feather Stitch on the 3rd quarter of my January Crazy Quilt Journal Project. I also added a simple tatted Snow woman. 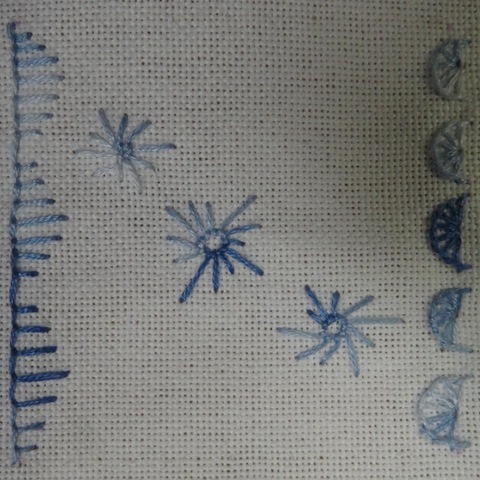 The TAST stitch for week 2 was Buttonhole stitch. I tried several variations. Sewing my own clothes as a teenager I made many buttonholes but didn’t know anything about variations. 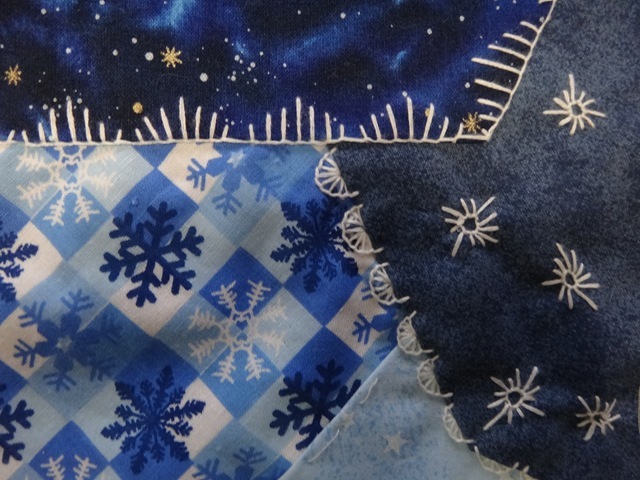 I used the buttonhole stitches on a quarter of my January CQJP crazy quilt block.